Labour might lose their majority at the next election but it’s going to be difficult for the Conservatives to gain a majority of their own unless they (we) can start winning a lot of the seats currently held by the Liberal Democrats. If Romsey, Winchester, Teignbridge, Twickenham and similar seats stay in the yellow column a Conservative majority looks almost impossible to attain. Conservatives must face the real possibility that a Liberal Democrat parliamentary grouping – even one that is smaller than today’s - will deny the Conservatives a majority. Very few Conservatives have faced up to this electoral reality. [Francis Maude being an honourable exception]. If Conservatives cannot be sure of defeating the Liberal Democrats we need to consider forms of co-operation. The Lib-Con environment pact - announced on Wednesday - may be the first real sign that such considerations are gathering strength. LibDem Norman Baker and Tory Oliver Letwin wrote a joint article for Wednesday’s Independent expressing concern that climate change is “now kicking in at a rate even worse than scientists had previously thought.” The joint article recommended “year-on-year carbon reduction requirements, an annual report to Parliament on progress, and independent verification of that progress.” A leader in The Indy warmly welcomed the two politicians’ accord and urged a foot-dragging Margaret Beckett to sign up, too. 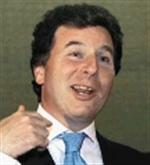 Mr Letwin’s willingness to work with Liberal Democrats is not new. When he was Shadow Home Secretary Mr Letwin worked with Simon Hughes, then his LibDem equivalent, on opposing Labour’s first attempt to outlaw ‘incitement to religious hatred’. Opponents of Lib-Con deal-making often complain that it can make LibDems appear more reasonable to voters and therefore undermine Tory campaigning in Lib-Con marginals. That complaint is hard to direct at Oliver Letwin who has twice defied near death political experiences with LibDems in his Dorset constituency. Mr Letwin is a key lieutenant of David Cameron and this deal may be a tester for much greater co-operation with LibDems on ‘Orange Book issues’. I think of pensions, post office privatisation and NHS reform. In principle I think the Letwin initiative is welcome and brave. In practice I’m not encouraged. The APPCD’s technology-led approach to addressing environmental problems seems much more likely to attract the support of developing economies than the regulatory-led approach of Kyoto. Britain might be able to cut its own greenhouse gas emissions on the scale desired by Baker-Letwin - but only by exporting manufacturing facilities to environmentally unregulated China, India and other fast-growing economies never covered by Kyoto. The Baker-Letwin article does not even hint at an understanding of Kyoto’s weaknesses (recently acknowledged by Tony Blair). LibDem-Connery needs to have a future – but it must be more hard-headed than this. There is nothing wrong with working with other parties on an adhoc basis where we share interests. But we must be careful to avoid giving out the idea that we would be willing to enter any sort of a coalition with them. On the matter of global warming, it is very cynical of politicians to pretend that they can do anything about it, when anyone who thinks about it must realise that it is quite beyond the control of British politicians to have any effect. Blair is quite right; no politician is going to slow down the growth of their economy in order to put off some potential long term damage to our climate. India and China are the massive carbon dioxide producers of the next 50 years and anything we do is like a drop in the ocean in comparison. What we must do is prepare for the effects of climate change rather than play at King Canute. We are nearing the end of the climate change game, some analysts believe that the no turning back point could be as little as a decade away, we already have to face 30yrs of global warming that we have already caused. The technology based approach is a welcome addition but not an alternative to a regulatory approach. The speed of technological advances is not increasing and we don't have time to wait for nuclear fusion. Climate change is more important than politics, and that includes supporting the president. Hate to say this Derek as you would doubtless disagree but the EU could actually do quite a lot. This is perhaps the only area that I could think of where I would be in favour of the EU having supremacy over national law. Import controls on Chinese goods and tariffs on dumped product would help steer China away from flooding the world with cheap junk that cannot be repaired, recycled, or even manufactured profitably. The use of environmental laws to transfer manufacturing from Western Europe to Chinese sweat-shops is truly indicative of political thinking. To pay a girl 41 cents/hour to make a kettle in China and to decree that the girl in Currys selling it should get $10/hour minimum wage is truly astounding. I think that Oliver Letwin is at best naive to be collaborating with the likes of Norman Baker. Baker is not an Orange Book Lib Dem. He is a taxing, regulating state interventionist Lib Dem of the worst kind. His fellow Lib Dem, David Laws has criticised him for just those reasons. Letwin should also know that Kyoto will not work for the simple reason that it lets China and India off scott-free: see the front page of yesterday's Indie. That is why there is almost 100% bipartisan opposition to it in the US. The US knows that signing up to it would simply create a recession without necessarily reversing climate change one iota. Blair is also waking up to this reality. The FT's Martin Wolff wrote an excellent article on how flawed Kyoto is two or three years ago....and he can hardly be accused of being a neo-con. Malcolm, you're right I do not agree with you! The EU imposed regulations have been a disaster for the economies of Europe and if they imposed more regulations they would only do even more damage to oue economy, and what effect would it have on global warming? - None, because the US, China and India and many others would not be affected. We might as well accept that if the climate has been affected, the damage has been done, and we will simply have to live with it. In any case, the world's climate has changed dramatically many times in the Earth's history and no doubt will do so again, and we can do nothing about it. For politicians to claim otherwise is gesture politics. Careful of Norman Baker - he's a full blown statist idiot, a good example of the disreason and anti-enlightenment unthinking that characterises greenies. It's not his values that are the problem ( though they would be ) its that he is wrong and hates science and facts. It may (or may not) be OK to talk to the Libs, but NB should be treated as the witchdoctor that he really is.